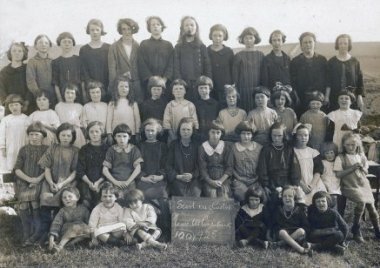 Lahinch National School Girls 1925. Click on image for more photos of Lahinch National School. The original National School in Lahinch was built in 1877 and the current building celebrated its 50th anniversary in 2013. To mark the celebrations former principal Kevin Glynn compiled a history of the school which included transcriptions of the roll books. We are grateful to Kevin for donating these transcriptions to Clare County Library’s website.